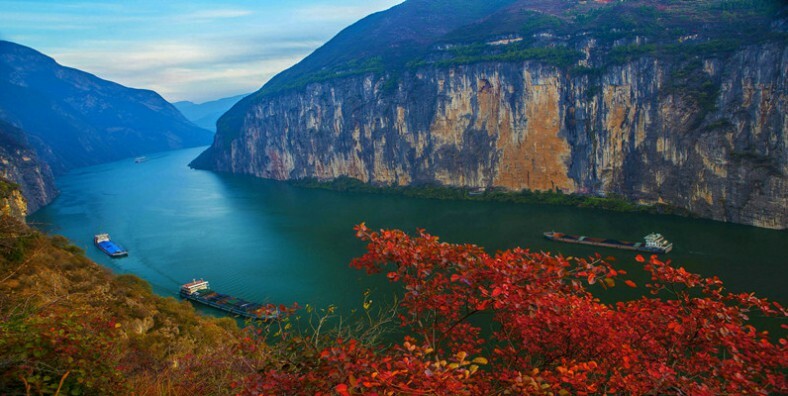 During this 14 Days Beijing–Xian–Guilin–Chongqing-Yangtze River Cruise-Yichang–Shanghai Small Group Tour, we will explore 6 different cities in China and have a 3 night cruise trip on the Yangtze River. During the tour, we are going to experience different traditional Chinese cultures and history in the Beijing and Xian, enjoy the beautiful landscapes of China at Guilin and Yangtze River, and explore one of the busiest cities in the world, Shanghai. Welcome to Beijing. Arrival in Beijing, your tour guide will wait you at the airport and transfer you to the hotel in Beijing. Then you can either explore the city by yourself or take a rest in the hotel. After breakfast, we will first visit Tiananmen Square (40 minutes sightseeing), which is the biggest public square in the world that can hold more than million people. Then We will cross over the Golden River Bridge to visit the Forbidden City (2 hours sightseeing) and experience the ancient royal’s life here. Exit Forbidden City, and move on to Jingshan Park (40minutes sightseeing) to have a bird’s view of the entire Forbidden City. Jingshan Park is filled with community activities during sundays, such as tai chi, square dance, and other traditional activities. Lunch at a nice Cantonese restaurant (la carte lunch). After lunch, we will visit the Temple of Heaven (2 hours sightseeing), which was the spot where the Emperor pray for a good harvest. Three blue-tiled cone-shaped roofs of it, already become a worldwide symbol of Beijing. Tonight we will appreciate a Kung Fu Show at Red Theatre, that tells a story about Chin Yu entering the monastery and making his way through life to finally becoming the Abbott. We will transfer back to hotel after the show. 08:30am, you will meet your guide in the lobby. Transfer to Badaling Great Wall (80km, 1.5hrs driving). Badaling Great Wall, one of the most gorgeous and magnificent part of the Great Wall in Beijing. The hiking on the Great Wall takes 1-2 hours. Cable car or slide is optional. We don’t arrange lunch for today, so please prepare some snakes and have a big breakfast. We will continue to visit a Jade factory after a break. Later, we will transfer to the Sacred Way, the first attraction of Ming Tombs. And then go to Changling, one of the 13 Ming Tombs, which is the Mausoleum of Emperor Zhu Di, the third Emperor of Ming Dynasty. It is the largest, original and the best preserved among the 13 Ming Tombs. After all, we will return to downtown Beijing and drop at the Olympic Park to take some picture from outside of the Bird’s Nest and Water Cube. The bird nest stadium hosted the opening and closing ceremonies of the 2008 Summer Olympics, and it’s the stadium for football competitions. Water Cube, or the Beijing National Aquatics Center, it’s the main stadium for all indoor aquatics competitions in the 2008 Olympics. Back to hotel around 7:00 PM. After breakfast, we will visit Summer Palace (2 hours sightseeing), originally a royal garden and a temporary dwelling palace for emperors of Qing Dynasty. And experience old Beijing cultures in different Hutongs. Lunch at Sichuan restaurant (la carte lunch). After lunch, you will head to the airport and fly to Xian. The local guide in there will wait you at the airport, and transfer you to the hotel. Today, we will start from the World’s Eighth Wonder, the Terracotta Warriors and Horses Museum and a Terracotta factory. Lunch at a local family, we will try some homemade a la carte lunch. In the afternoon, we will visit the Small Wild Goose Pagoda —As the symbol of the old-line Xian, Big Wild Goose Pagoda is a well-preserved ancient building and a holy place for Buddhists. For the dinner, we will taste the local Dumpling Banquet, and enjoy the famous Tang Show. After breakfast, we will take a stroll along the Ancient City Wall, you can ride a bicycle on the city wall. The Ming City wall is one of the best preserved protection project in ancient time. Then visit one of the best museums in China, the Shaanxi Historical Museum.It is a large modern museum at the national level. We will have a la carte lunch at a local restaurant. After lunch, we will go visit the the Great Mosque, which is a tranquil and historic mosque that has served Xi’an’s Muslim community for more than a millennium. And we will taste the local food in Muslim Street, enjoy the local people’s life. Today, you will take a morning flight to Guiling. And the local guide will wait you at the airport. Then transfer you to the hotel, and help you check-in. After lunch, we will visit Reed Flute Cave, which is the “Palace of Natural Arts” with beautiful stalactite and stalagmite formations illuminated by colorful lights. After breakfast, we will take Li River cruise to Yangsuo for about 4 hours. On the twisty Li River from Zhujiang to Yangshuo, it covers hundreds and thousands of grotesque peaks. Breathe the fresh air, feel the gentle breeze and enjoy the spectacular landscapes here. Have lunch on board. In the afternoon, disembark at the old town Yangshuo. Then explore the ancient town – Yangsuo. It has a history of over 1400 years. Walk around West Street to find a lot of unique shops selling traditional handcrafts, hand-made scarfs, snacks of local flavor etc. Then you will be transferred back to Guilin city, and have a short visit to Elephant Trunk Hill on the way. After breakfast, you will be transferred to railway station to take a speed train to Chongqing (About 5-6 hrs). The local guide will pick you up from the station, and visit the Liberation Monuments and Ciqikou Ancient Town with you. Then transfer you to board the President Series cruise ship (Stay on it for 3-night）. Today you will enjoy the activities on the ship. In the early afternoon, you will have an onshore excursion while the ship anchors at Shibaozhai. In the evening, you will be invited to participate in the Welcome Party hosted by the Captain. 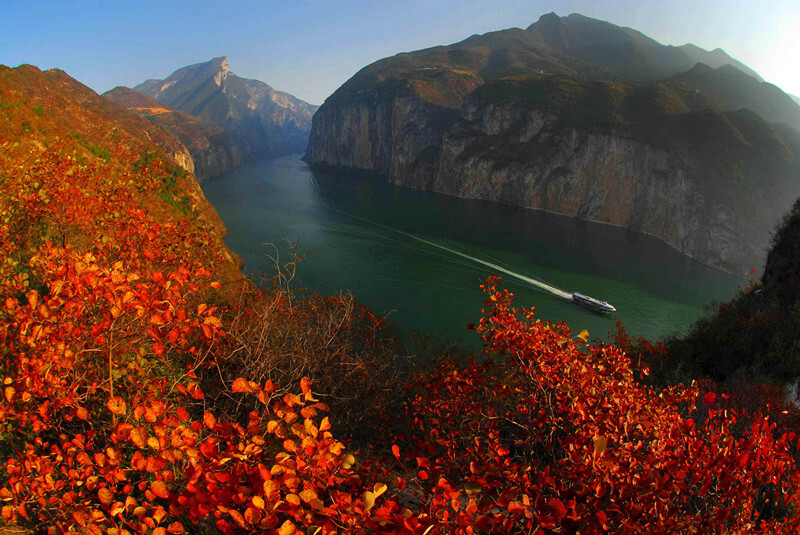 Today our ship will sail through the part of the Three Gorges with the best views. In the morning, we will pass through the Qutang Gorge, which is the most dangerous part of today. Then we will sail into Wu Gorge. After lunch on the ship, we will have an excursion (3-4 hours) along the Shennong Stream by sampan. Afterwards, the ship will continue to Xiling Gorge. 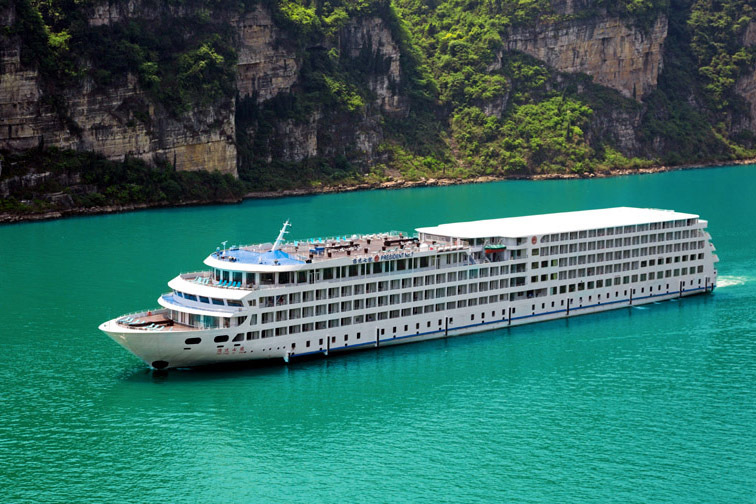 In the evening, our ship will arrive a magnificent building project of the Three Gorges, the Five Level Ship Lock. Today our cruise trip will finish. We will pack the luggage and ready for check out from the ship. After this, we will get to visit the Three Gorges Dam site. 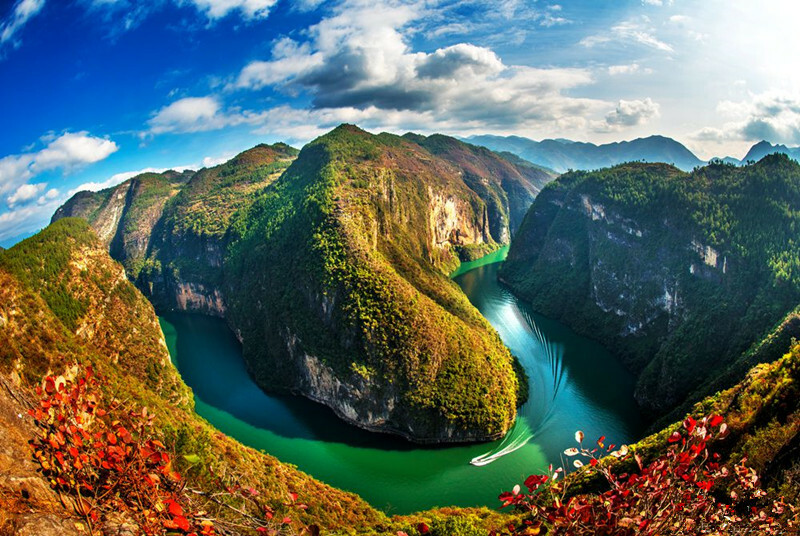 We will check out after we finish, and the cruise company will drive you to Yichang City. The local guide will wait you on board and take you to have lunch. Then transfer you to airport for the flight to Shanghai, the guide in Shanghai will wait you at the airport and transfer you to the hotel. After breakfast, we will first visit the Shanghai Museum, the selection of over 112,000 Chinese cultural relics from the Old Stone Age to modern times. Then we will head to Yuyuan Garden, which is a famous traditional Chinese gardens in Shanghai. Lunch at a nice local restaurant (a la carte lunch). After lunch, we will visit the Bund, which is one of the waterfront landmark and symbols of Shanghai. And we will have a cruise trip on the Huang Pu River (1 hour), and enjoy the beautiful lake views of the Shanghai from the cruise ship. Pudong Airport (PVG): Take about 1 hour from the hotel, cost about 180 RMB for taxi. Hongqiao Airport (SHA): 30 minutes drive from the hotel, cost about 50 RMB for taxi. Please contact us for tour extension, if you would like to spend more time in China. The quotation is different for China Public Holidays. For instance, Chinese Spring Festival,Tomb-sweeping Festival, Labor Day, Dragon-boat Festival, Mid-autumn Festival, China National Day, etc.